How Can I Stop My Gums from Receding? The phrase “long in the teeth” has been around for generations. Typically, it’s associated with aging or wisdom, or at times even a characteristic of the villain in a children’s cartoon. But one thing is for certain: it’s not generally a feature that most of us would consider to be attractive. Misaligned Teeth — Gum tissue wraps tightly around each tooth like a blanket, protecting it from external forces and aiding in attachment to the bone underneath. But when a tooth is misaligned so that it jets out in front of the others, or it’s leaning to the side, it results in the gums stretching out or pulling away from the pressure of the tooth, causing them to recede. Tobacco Use — Smokeless (“dip”) tobacco is one of the main culprits of gum recession. Most dentists and hygienists will be able to tell exactly where their patient holds their snuff during the day. Because dip has tiny irritants inside of it to help the body soak up the nicotine, it can gradually damage the soft tissues that it rests against. Smokers aren’t in the clear, though. If gum disease is already a problem, smoking can accelerate or hide the symptoms of tissue detachment. Gum Disease — Perhaps the most common cause of receding gums is periodontitis. As plaque bacteria accumulate along the gums, it causes infection and a detachment of the fibers that connect the soft tissues to the teeth. Trauma or Habits — The littlest things can catch up with you over time. For example, someone who tends to bite their nails or use their teeth to pry open hair pins can start to see their enamel wear down after a few years. The same can happen with our gums. If we tend to pick at an area or have something bumping into our mouths like an ill-fitting athletic guard, it can make the gums start to recede. Likewise, accidents like a bump to the mouth can hurt the gums in addition to breaking off teeth. Aggressive Brushing — Too much toothbrushing doesn’t seem like it could be a bad thing, but if you’re overzealous and apply too much force, you may be doing more harm than good. Medium to hard bristle brushes or a soft brush with a heavy hand are all that it takes to cause the gums to start creeping back down the teeth. The most common areas for abrasion induced recession are usually on the side of the dominant hand that is brushing, or in the corners of the mouth. Bruxism (Grinding) — Waking up in the morning with a headache or sore jaw could be an indication that you’ve been clenching and grinding your teeth while you sleep. Your dentist may also notice flat, worn edges on the teeth throughout your mouth. Additionally, the teeth can tend to “flex” along the gumlines, causing abfractions or minor chipping in the enamel along the contours of the gum. Recession usually follows. Unfortunately, gingival (gum) tissue does not grow back on its own. That’s why it’s important to stop the cause of recession as early as possible, before it gets worse. If the recession is so severe that the tooth is experiencing sensitivity when you eat, or the cosmetic appearance is embarrassing, treatment is available to cover the area so that the gums have a properly appearing contour again. More severe recession that results in tooth mobility may also require removal (extraction) of the tooth, unless a bone graft is an option. 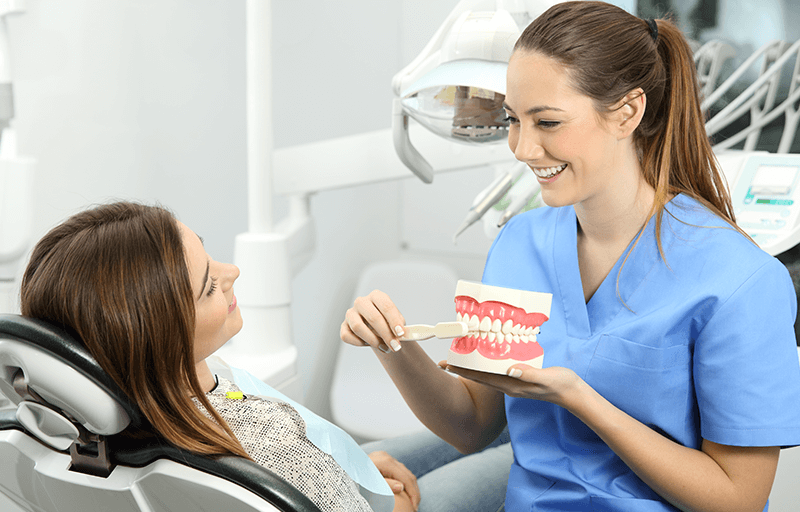 Depending on the preferences and skillset of your dentist, they may refer you to a gum expert — known as a periodontist — or an oral surgeon to perform a tissue graft. Soft tissue grafting involves moving a piece of the gums from one part of your mouth to cover the area affected. It can also be from a donor. Newer procedures like the “pinhole” technique allow the existing gum tissue to be stretched over the tooth like a bedsheet, and then sutured into place. This process eliminates more invasive surgeries or grafts, taking advantage of the healthy tissue already adjacent to your tooth. 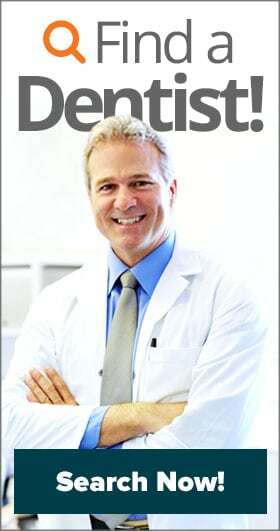 Seeing a dental specialist can be expensive, especially if you don’t have good dental insurance. 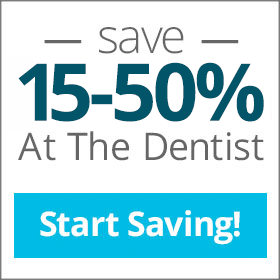 But with dental savings plans like the ones at Aetna Dental Offers, you can get discounts of 15-50% off treatments from dental specialists. Call on of our dental care discount experts today and discuss your needs – they’ll help you find a plan that saves you money on the dental care that you need. What is an Oral and Maxillofacial Dentist and What Do They Do? How Does Nutrition Play into Your Oral Health?